Our story opens, right at the beginning of the world war II, in the year 1939, when Nazi Germany and Communist USSR attacked their common neighbour Poland. Improvised Polish army was no match for the invading armies and soon the polish nation surrendered. Nazi Germany and USSR decided to divide Poland between them. Germany holding on to west Poland and USSR on to east Poland. Both the Nazis and Soviets sent huge numbers of Poland’s elite, like military families, police, doctors, teachers, and anyone else suspected of patriotic feelings to prisons and labour camps. Soviet Union later went a step further. 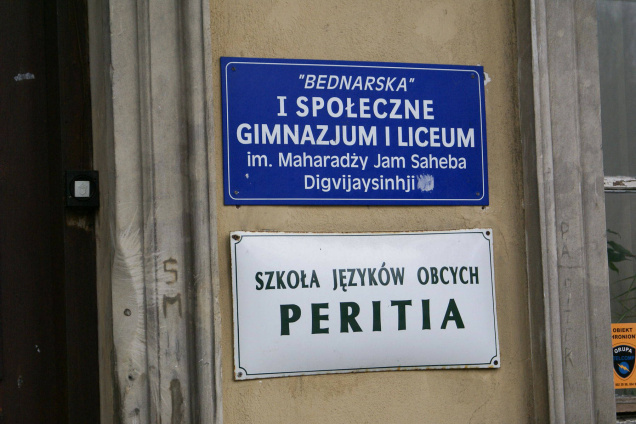 They decided and deported more than 1.5 Million Polish citizens to deep interior points like Siberia and Kazakhstan. The purpose of these deportations were two fold. Firstly it was thought that it would simplify the polish integration into Soviet empire. 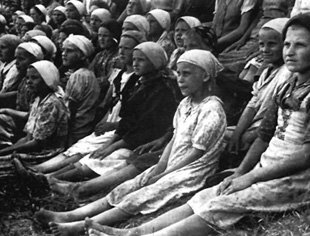 Secondly it provided a supply of labour for Soviet Union's collective farms. 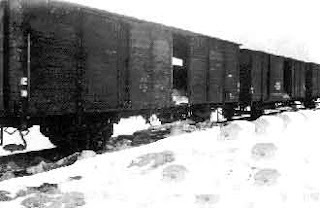 Entire families were packed into railway goods wagons in Poland and were confined in them for six weeks as the trains rolled east towards Kazakhstan. Anyone trying to escape was just shot. However, as things turned out later, this deportation turned out to be a deliverance for the deportees from the Nazi concentration camps and the subsequent genocide. In 1941, Hitler suddenly attacked Soviet Russia with a blitzkrieg. This made the Soviets change their strategy towards the Polish deportees. At that time, thousands of Polish deportees were in prisons in Russia. It was thought that an army could be created out of these deportees, who could fight the Nazi's. A general amnesty was declared to all polish deportees. An exiled Polish Government in London readily agreed to formation of this army and an agreement was signed with Soviets. This army was supposed to fight in North Africa with the British and was to be assembled at just north of the USSR border with Iran, on its way to middle east through Iran. To take up this journey, many families had to escape from the community farms (many farm bosses simply refused to allow them to leave. ),have money to buy train tickets and travel for months from Siberia to south. They had to change trains frequently, sleep on bare floors. Conditions were filthy with no proper washing facilities at stations. People were infested with lice and infections spread like wild flowers. Many of them died just waiting for the train tickets. Polish army along with migrant families, crossed into Iran by ship across the Caspian Sea or by road at the end of 1942. Some 37000 adults and 18000 children made it. After this, the soviet border was closed and another Million Polish citizens remained trapped inside forever. Iranian's were sympathetic towards the polish and treated them kindly. Some of them stayed in Iran but majority moved towards Afghanistan and finally to India. This great deed by the Nawanagar Maharaja was done almost Sixty Four years ago. The real story here, that very much appealed to me, is that even in today's Poland, Maharaja of Nawanagar, Jamsaheb Digvijay Singh Jadeja is fondly remembered. Many survivors even today still recall with emotion and tears, the Maharaja and his kindness. But the real surprise, which almost touches my heart , can be found in a school in Warsaw, capital of Poland. This school is named after the Maharaja to express the gratitude of the Polish people towards this compassionate man. At first glance this school looks like any other school in Warsaw. But as one enters inside, he feels that he has entered an Indian museum. Pictures of Indian monuments and landscapes, wall posters depicting classical dance and rangoli, handicrafts and decoration items, Tibetan Thangka paintings and pictures of Indian gods and goddesses adorn the walls of the school. Not only that, Jamsaheb Digvijay Singh has been declared the patron saint of this school after the school community consisting of parents, students and teachers conducted a referendum in June 1999 and overwhelmingly approved the move. The Principal pf this school Ms. Krystyna Starcewska, says that this incident from history is remembered with respect and gratefulness, and had become a part of the school's own legacy. The legacy of kindness is continued by the school even today by offering free education to the children of refugees in Poland from Chechnya, Vietnam, Sri Lanka, Tibet and African countries. Ms. Maria Krzyszt of Byrski, former Ambassador of Poland to India from 1993 to 1996, and a professor of Indian Studies, agrees and says that naming the school after the Maharaja, was a better option as the “students of such a school would be the custodians of the valuable history.” Poland had recently honoured the Maharaja Jamsaheb Digvijay Singh posthumously, by presenting the “Commanders Cross of the Order of the Merit of the Polish Republic,” This honour is given to civilians and foreigners for contributing to good foreign relations between Poland and other countries. 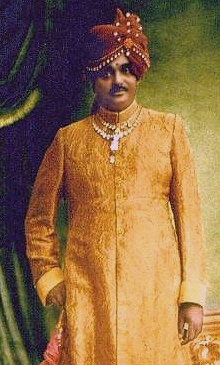 There is also a proposal pending with the city authorities to name a square in Warsaw after the Maharaja and setting up a special plaque describing the history of his connection to Poland. There is a saying that a good deed is never lost. How true, isn't it?